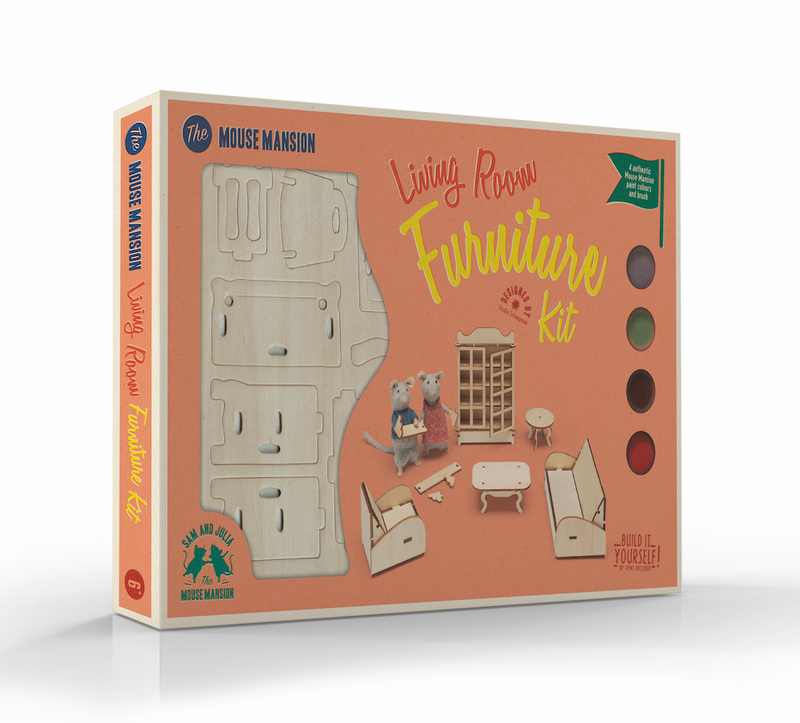 We are so proud to present to you our new Mouse Mansion Furniture Kits! With these kits you can build your own furniture. There are two different kits available, a Kids' Bedroom and a Living Room. The furniture was designed by Tom and Karina Schaapman, the makers of the original Mouse Mansion. The kits include 4 authentic Mouse Mansion paint colours and a brush. Check out how to make the kits in our videos!